The creation of the Institut d'histoire du livre in Lyons in 2001 brought together the City Library and Printing Museum, with three grands écoles. A summer school in Lyon proposed to researchers, doctoral students, librarians, booksellers ...and whose themes and speakers are regularly renewed. The IHL provides access to resources or useful sites for people interested in the history of books and written communication. 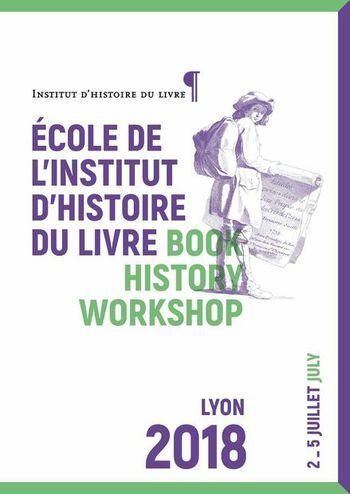 This section include texts and recordings from events organized by the Institut d'Histoire du livre : seminars, workshops or Book history workshop. Information on publications made ​​or supported by the Institut d'Histoire du livre, the collection "Metamorphoses du livre" (ENS Editions) and the magazine Gryphe (Lyon City Library).